As with any activity there are risks involved in participating in riding a Segway, falls from a Segway are possible and like other hazourdous activities such as skiing, horseriding and mountain biking there is a large amount of individual responsibility. This means it is very difficult to measure the danger as each person behaves differently and will conduct themselves differently whilst riding. We do however try to minimise risks as much as possible and the information below should help you in your decision as to whether or not to take part. The Segway X2 encompasses amazing technology with stylish and tough design they are very easy to ride and are very intuitive, so naturally people become confident very quickly. However for this reason people do try to push themselves to go faster before they have fully mastered the machine. Control of a Segway begins with knowing your abilities and riding within them. Riding a Segway is not the same as a theme park ride or experience to stay safe there is a large amount of individual responsibility. The activity of riding a Segway should be viewed in the same way as skiing, rock climbing, mountain biking or horse riding. 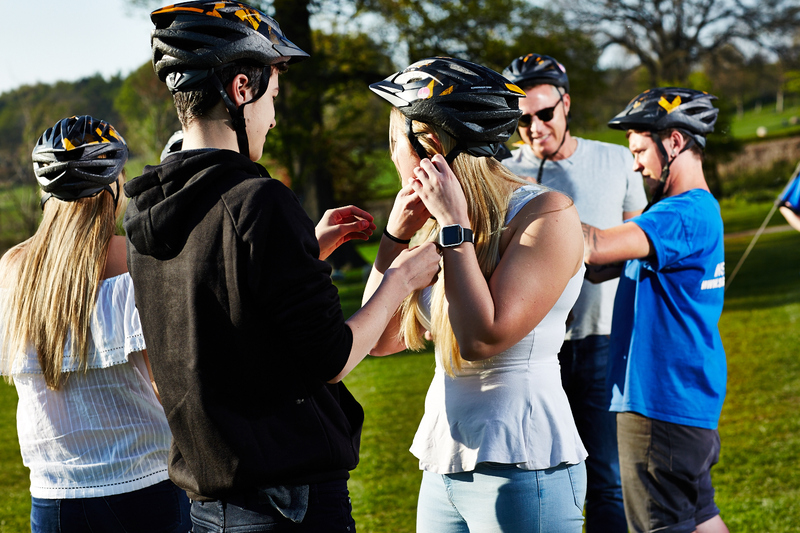 Consequently all participants wishing to take part in the activity must be aware that Segway's are potentially dangerous and assess the risks involved. 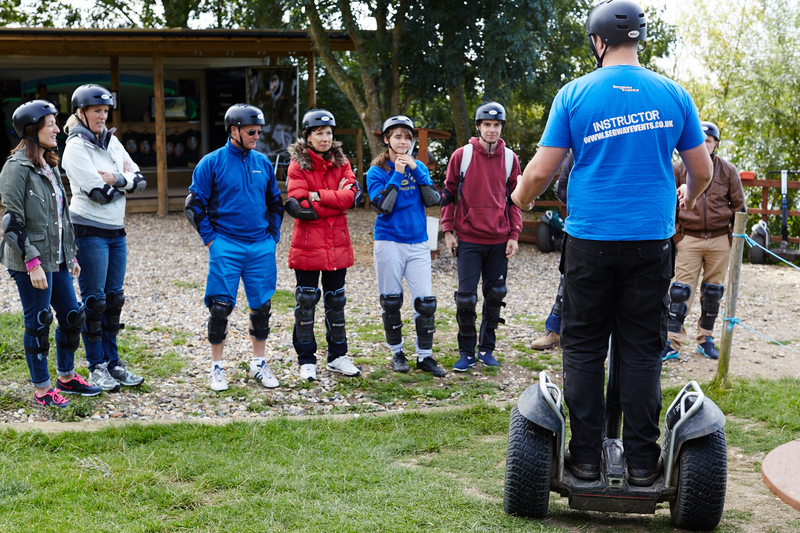 At Segway Events we do help you to do this via a registration and training process where you the participant can read our documentation and inform yourself. Obviously this also involves some administration including the signing of an insurance waiver form with a member of the crew present so that you are able to ask any pertinent questions that may arise. The principle of Competence applies both to equipment and to personnel, and requires they are of sufficient quality to competently perform the job demanded. The principle of Competence requires that safety related equipment satisfies the minimum standards which ensure its capability both for normal use and for all anticipated extreme conditions of use. In addition all safety-related tasks and responsibilities are assigned only to persons recognised to have the necessary knowledge and abilities to perform them. Segway Events employ highly trained instructors. All crew are professional, friendly and proficient in dealing with participants whilst at the same time providing a safe but positive experience. Our system ensures that each crew member receives the training and experience appropriate to their tasks and responsibilities and a log is kept of the role each crew member undertakes at every event. All participants are given training on how to ride a Segway regardless of whether you have ridden a Segway before. This training takes place in a group and our instructors will ensure you are fully confident with the machine and are happy to proceed before venturing out onto the tracks. All equipment is checked daily and signed off by at least two crew members on a check list. Safety equipment includes, knee and shin pads, elbow pads, and a helmet. Please read the below carefully as NO refunds will be given if participants turn up on the day and do not meet these requirements. These restrictions are strictly enforced to meet the requirements of the manufacturer and our insurance. They are under 134cm tall. Their weight exceeds 117kg (18 ½ stone). Their weight is under 45kg (7.1 stone). All pre-existing medical conditions must be declared before riding a Segway. Falls from a Segway are possible and if you have anything in your medical history that might be affected by a fall we recommend you do not take part. We recommend you have satisfactory insurance cover to take part in the experience. Segway Events does hold adequate insurance for Public Liability and this provides cover for our business’s legal liability to pay damages which result from a negligent act on our part. However as with other hazardous activities such as skiing, mountain biking or surfing we recommend you have your own insurance policy to cover you for accident and injury whilst riding a Segway. We hope that you never need to use your insurance, but this is definitely a case of better safe than sorry. Senior crew have performed practical assessments. All participants will be double checked. 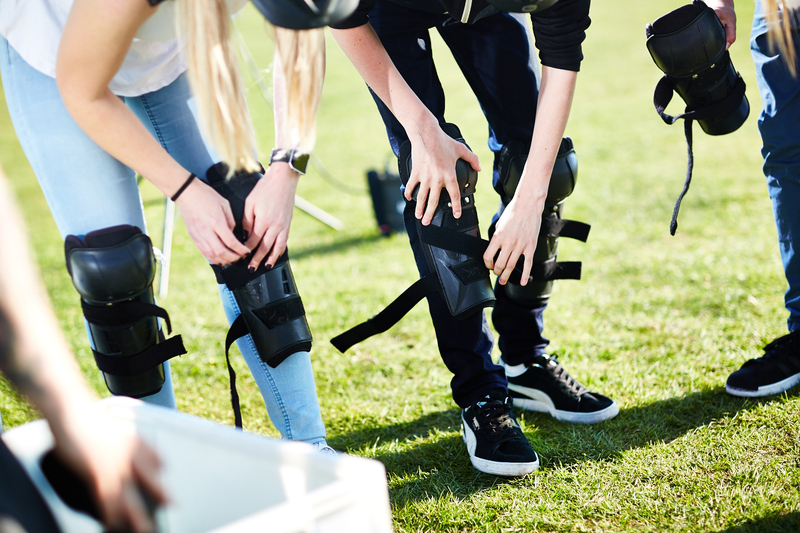 Safety equipment, elbow pads, knee and shin pads and helmets are always used.